And were back! After reviewing Winterlude’s Winter Beer and Icewine event, plus some of my favorite watering holes, I thought it high time for me to get back and review some of my favorite Ontario breweries. So today, I thought I’d cover a historic and memorable one, the Neustadt Brewery. This one and I go back quite a ways. In fact, I’m not even sure when I first sampled this beer, but I imagine it was shortly after I became of legal drinking age ;). Not being cheeky; the way I remember it, I actually had a bit of a frame of reference when I first tried it. And what’s more, I’ve tried it several times since and have found plenty of things to appreciate about it. 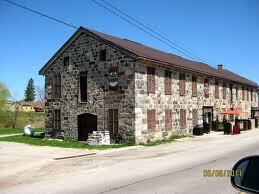 Established in 1859, this brewery has the honor of operating on the grounds of the oldest craft brewery in Ontario. In addition (and not coincidentally) it just happens to be located over one of the finest sources of spring water in Ontario, which they use to make their craft beers. This is clear the moment you drink any one of their products, which have an added attribute which I can only describe as “minerality” (it’s a word, look it up!). In any case, during my most recent visit to Ottawa, I was sure to pick up some beer that carried the Neustadt label. And wouldn’t you know it, they’ve actually added a few new beers to their catalog since the last time I sampled them. So here is what I thought of the Neustadt brewery’s products, taking into account their old classics, and the latest addition to their lineup. This entry was posted in Beer, Reviews and tagged beer review, crystal springs brewery, historic breweries, neustadt 10w30 dark ale, neustadt brewery, neustadt lager, neustadt ontario, neustadt scotch ale, ontario beers by storiesbywilliams. Bookmark the permalink.